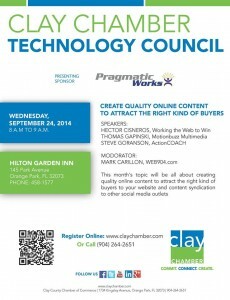 Motionbuzz founder, Thomas Gapinski, was part of a panel of content marketing experts at the Clay Chamber’s IT Council meeting last Wednesday. Along with Hector Cisneros from Working the Web to Win and Mark Carillon from Web 904, the panel discussed how to create quality online content to attract the right kind of buyers to your website. They also discussed content syndication to other social media outlets. 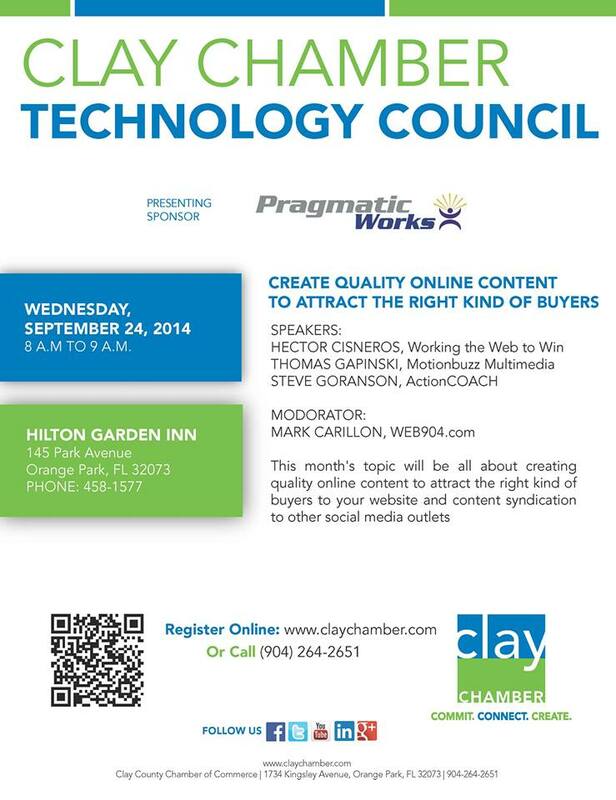 The Clay IT Council, presented by Pragmatic Works, is a new and exciting educational networking opportunity for IT professionals or individuals interested in the field. Regular meetings will be held the fourth Wednesday of each month. Each meeting will feature a short presentation from various speakers followed by networking activities. Learn more on the Clay Chamber’s Facebook page.